Anybody know what kind of cows these are? 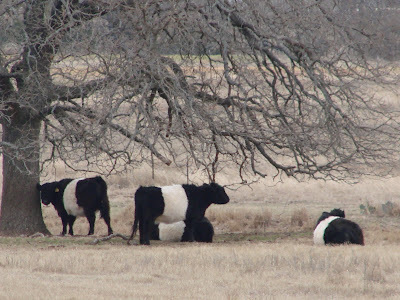 For a couple of years, they’ve been in a pasture I drive by just outside Fredericksburg. Upon describing them to you-know-who, I was given a look of total skepticism. So, I stopped and took a picture and someone, who shall remain nameless, said he was sorry for not believing me.